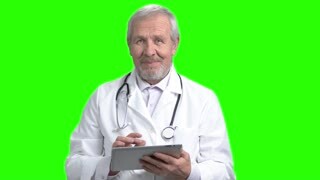 Old smiling doctor use tablet. Portrait of old man chatting and typing using electronic device. Green screen hromakey background for keying. Typing on smartphone. Use messenger, chatting online. Green screen hromakey background for keying. Young brunette girl chatting on smarphopne. Portrait of beautiful girl typing on device. Green screen hromakey background for keying. Portrait of senior doctor tapping tablet. 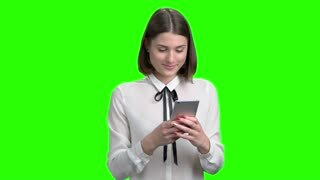 Green screen hromakey background for keying. Old smiling doctor chatting on smartphone. Portrait of old man. Green screen hromakey background for keying. Portrait of physician typing on smart phone. Green screen hromakey background for keying. Portrait of beautiful woman using tablet device. 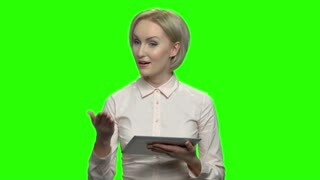 Green screen hromakey background for keying.